Your workspace is too noisy? You might want to consider Bose’s offering. I’ve been using their flagship headphones, the QuietComfort 25 and QuietComfort 35 and each have their own advantages and drawbacks. Not only watches, but pens are getting smart as well. These smartpens offers a genuine alternative to capturing notes using an iPad Pro or typing text in a laptop. Ever wonder how useful smartpens are? Here’s a comparison of the two best smartpens of 2016. Wanting to buy a Smartwatch? Here’s one that’s cheap and still useful. You’re trying to talk yourself from buying the new iPad? Then these points should help you dissuade yourself from hitting your credit card limits with the iPad. Your bank account and retirement fund will thank you too! Do you want to use your iPad while commuting? 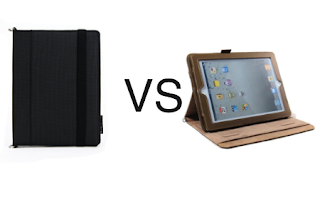 Here is a review of iPad cases that helps you for computing on-the-go.